Performance acts wishing to participate in the 80808 on 80808 celebration should contact Andy Witt at the Cultural Council, (803) 799-3115 or (803) 231-3131. 6:08 Music by Tuba IV: Charles Aull, David Woodard, Payne Seal, and William Adams. This 30 minute program will feature Brahms, Beatles, Scottish folk music, a waltz, some Gustav Holst, a little Handel, a march and another 20th c. piece. 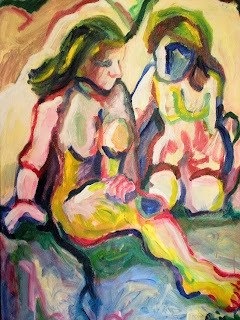 Below is the press release written by resident artist Pat Callahan along with several images. Gallery 80808 and Vista Studios fittingly mark the once-a-millennium date of 8.08.08 with an exhibition celebrating the studio’s unparalleled role in Columbia’s visual arts. “80808 on 80808” opens, of course, on August 8, 2008, at 8:08 a.m., and presents the work of the 13 current resident artists and 12 former artists of Vista Studios. A reception from 5:08 to 8:08 p.m. will bookend the day’s festivities. Vista Studios was established by Columbia Development Corp. and the South Carolina Arts Commission to anchor development in Columbia’s warehouse district, the Congaree Vista. 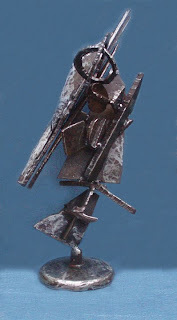 Since its inception the studios have attracted an exciting mix of established and emerging artists. Why? Vista Studios functions as an artistic hot house that is both protective and demanding. Art is made. It is a creative community that supports artistic leaps and develops professionalism. 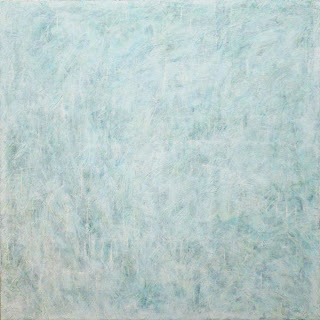 Add to environment a thriving rental gallery space, Gallery 80808, a rare resource for artists of the Midlands. Participating in “80808 on 80808” will be four artists who were original tenants in the fledging studios: current tenants Heidi Darr-Hope and Robert Kennedy, and returning artists Mike Williams and Anne Bjork. The impressive roster of returning alum also includes Bob Allison, Tyler Ann Blanton, Charlie Dillingham, Jeannette Grassi, Tonya Gregg, Christina James, Richard Morgan, Gene Speer, Christian Thee, and Brent Wahl. Several current artists of Vista Studios will present work inspired by the number sequence 80808–its repetition, its mystery, and its significance. 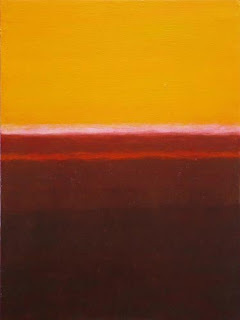 Laura Spong explores the number “8” in series of small oil panels depicting the value in different counting systems. 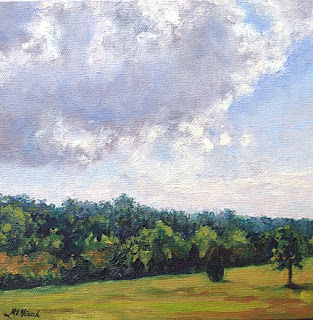 Recent travels by Michel McNinch yield a series of eight-by-eight-inch paintings of mountainous landscapes passed along interstate I-81. 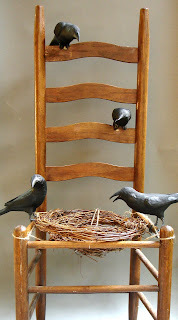 Pat Gilmartin presents the cryptic mixed media assemblage “8 by 8 eyes” in which four crows watch, perhaps guard, a nested chair. 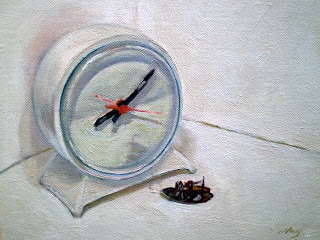 As witness of a different sort, David Yaghjian presents the solemn (and comical) “8:08,” a still life of a clock and an all-too-familiar dead Palmetto bug. 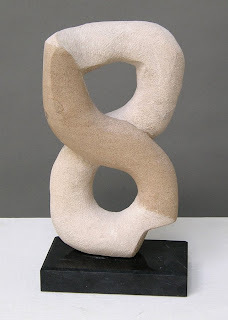 Sharon Licata includes in “80808 on 80808” the entwined limestone shape “Along the Road,” a reflection on her more than six years at Vista Studios; and Stephen Chesley presents “Eight Miles High” in welded varnished steel. 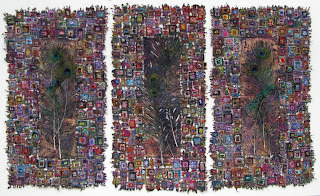 Don Zurlo introduces his new Scribblescapes series with “8083” and “8084.” Zurlo likens the energy of the works to the challenge to “say scribblescapes three times in rapid succession.” Nine painted panels of different sizes constitute “Eight Plus One” by Ethel Brody. Vista Studios artists Jeff Donovan, Heidi Darr-Hope, Susan Lenz, Robert Kennedy, and Pat Callahan will also present new work. “80808 on 80808” continues through August 26, 2008. 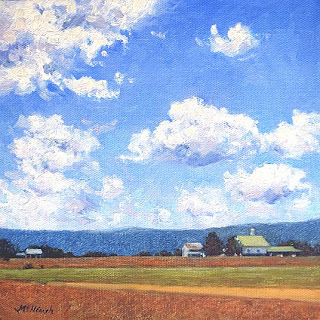 Gallery 80808 is located with Vista Studios at 808 Lady St. in Columbia’s Congaree Vista. The gallery is open weekdays 11:00 a.m. to 3:00 p.m. Please call 803.252.6134 to confirm summer hours.